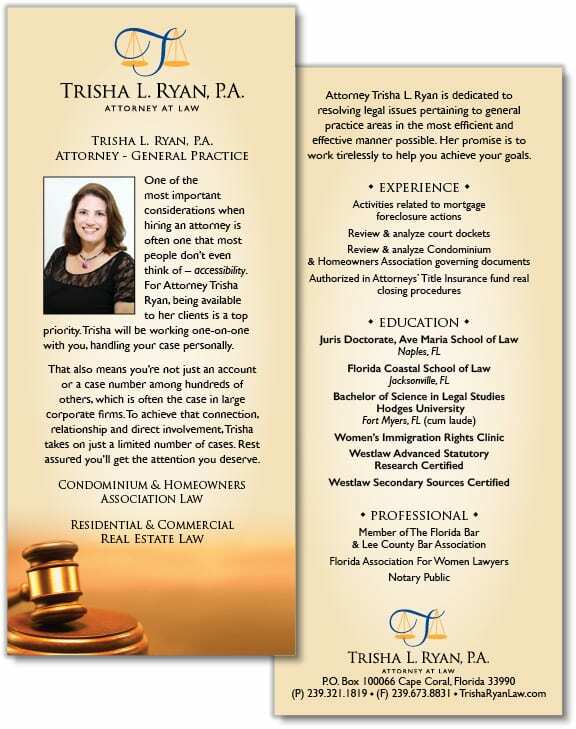 About Trisha L. Ryan, P.A. 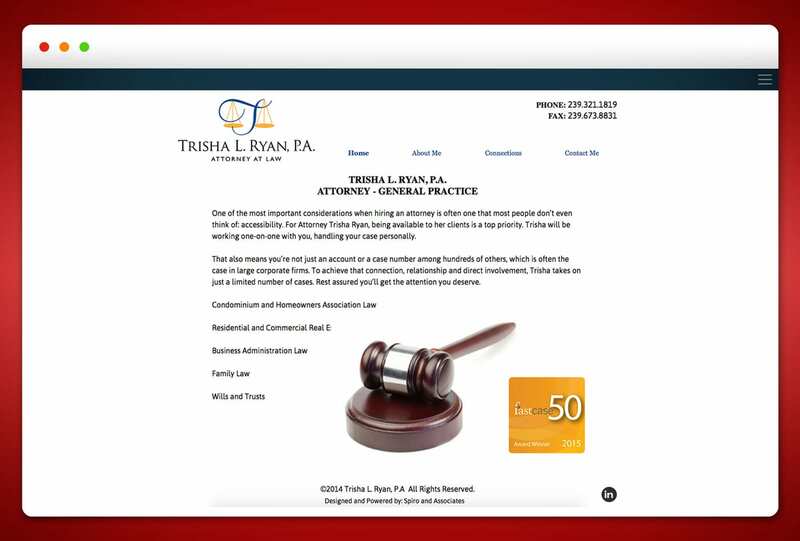 Trisha L. Ryan, P.A, is a Florida attorney who takes on a limited number of cases so that her clients can enjoy the personal touch that many large firms are unable to offer. The Agency created and developed a logo, collateral and website for her firm.